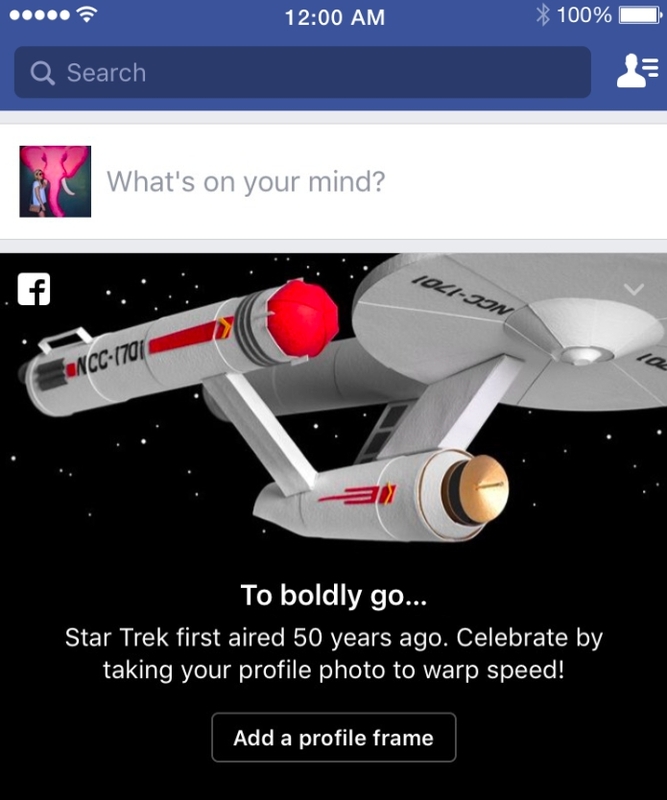 Yesterday, September 8th, people who have shown interest in Star Trek might have seen a personalized greeting from Facebook. This greeting is asking people to design a custom frame and add it to their profile picture. Moreover, there is another element, which made people very excited. Very well known Star Trek characters were used on the Facebook’s set of reactions. They added a little sparkle to the Like, and love was demonstrated with the Vulcan Salute. Angry reaction came from Klingon. Do you know what I mean? The downside is that these reactions are and will only be available to some Star Trek fans living in the US and Canada. It is interesting to see how Facebook is involved in such nostalgic moments and how they are passionate about making communities happy, this time it was Star Trek. Do you want to guess what it is going to be next time?